Introducing PORSCHE 911 Carrera Cup. 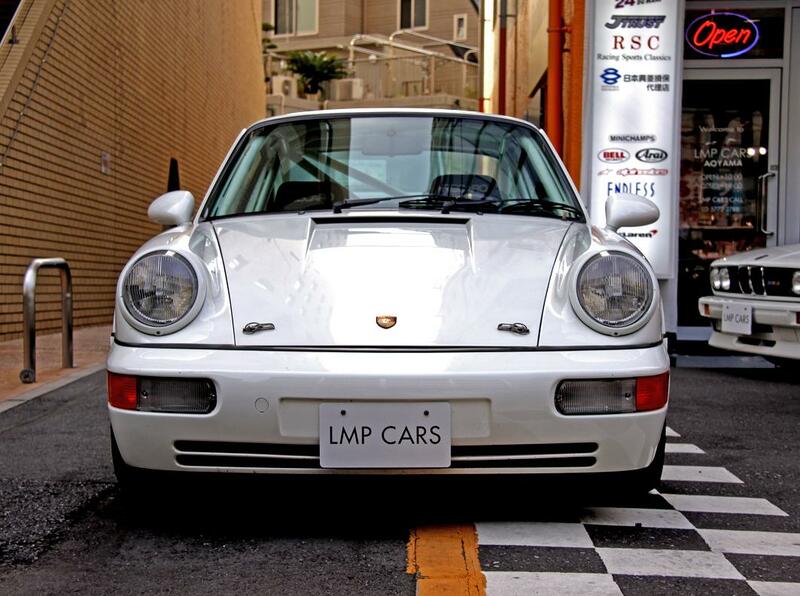 This is the original machine of globally held Carrera Cup series by Porsche Motorsport. 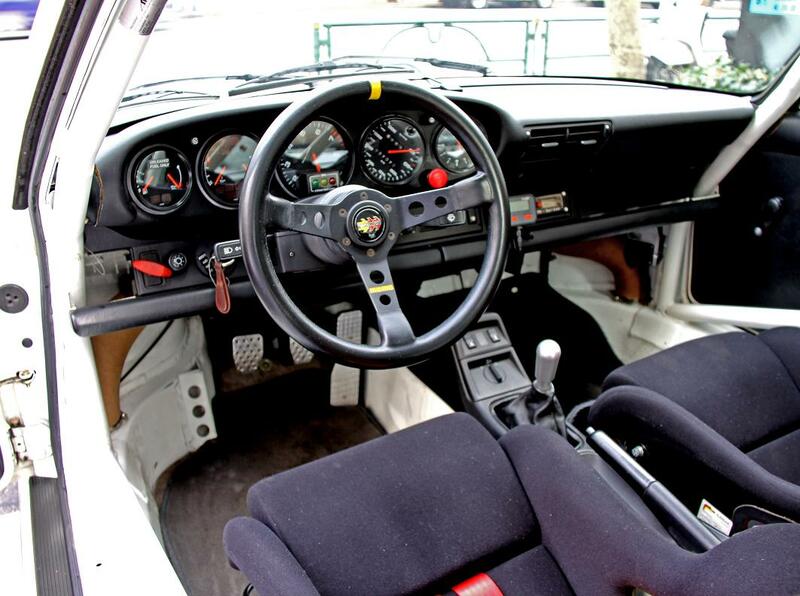 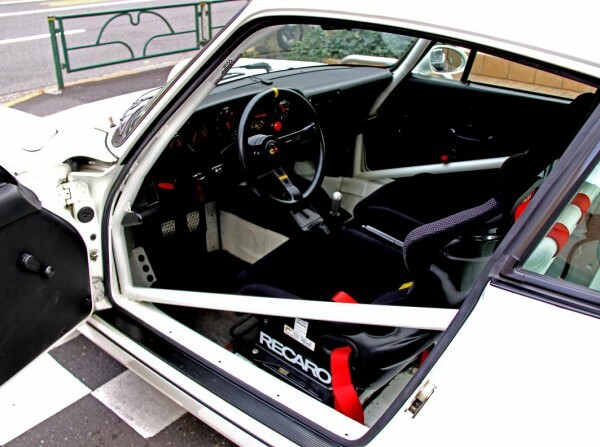 Type 964 Carrera Cup car is based from RS chassis out on the market, race trimmed and weights were reduced to 1120kg, with modified engine giving 265ps at 6100rpm. Stiffened suspension is set upped to match slick tires, and producing great grip and drivablity. 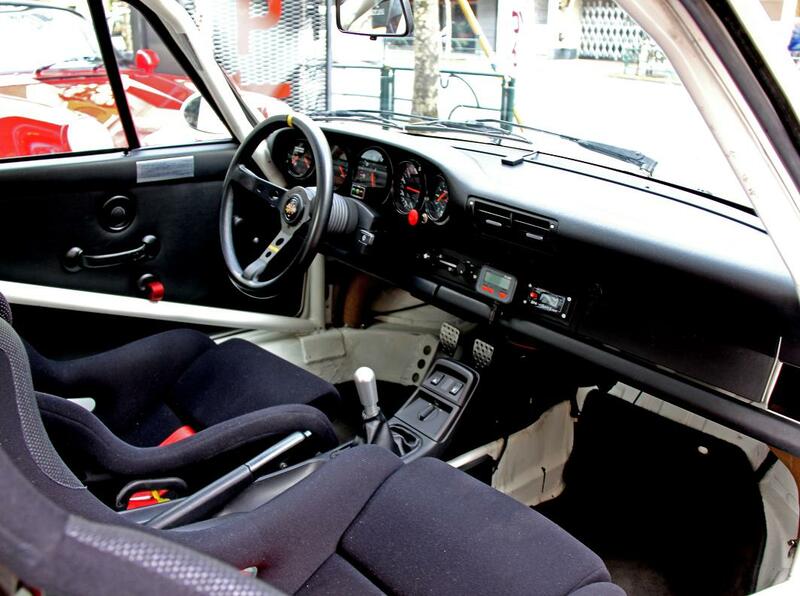 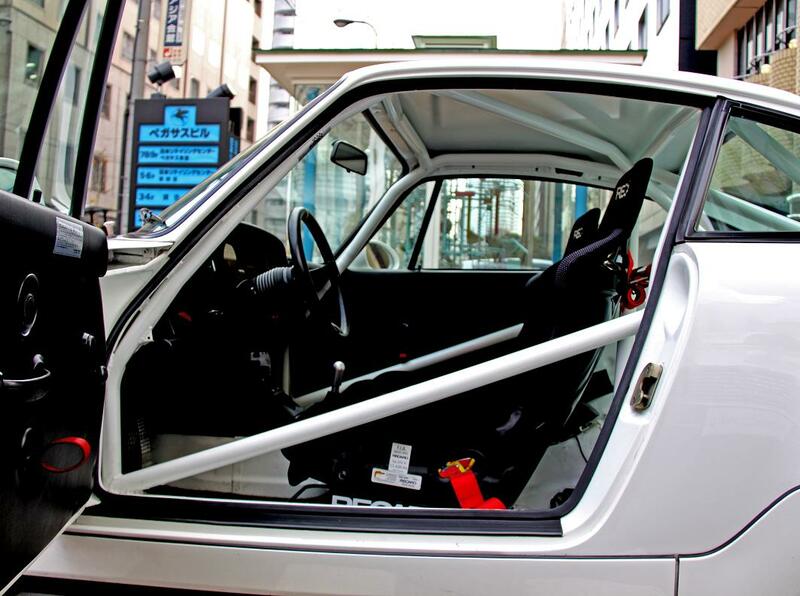 This car handles like a good example of a racing car and requires direct and delicate driving. 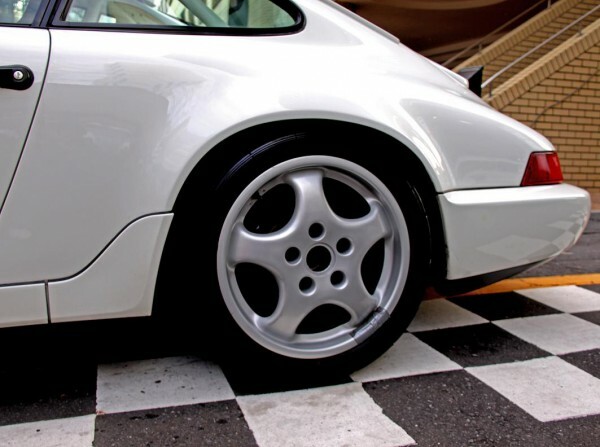 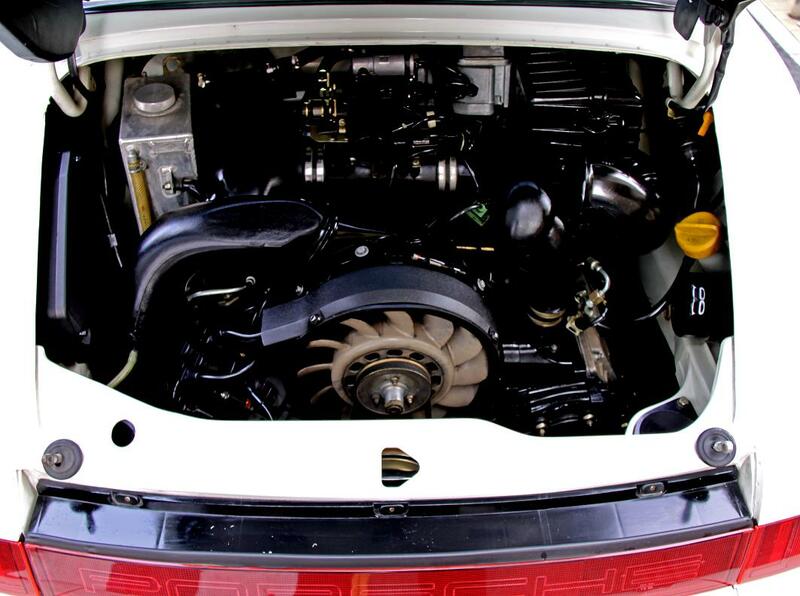 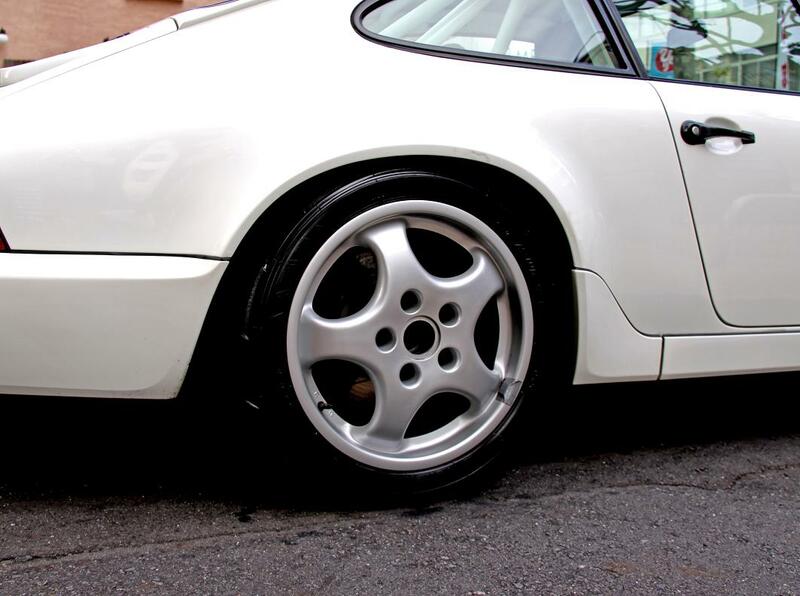 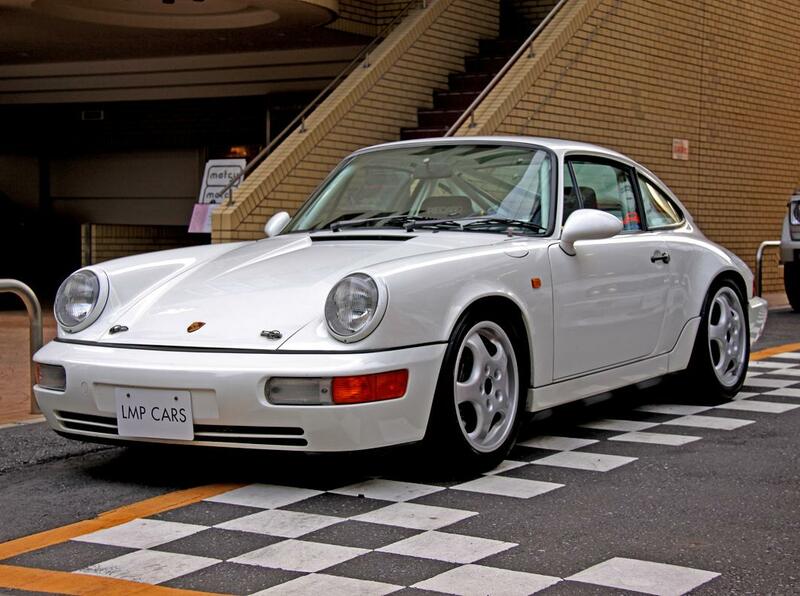 This charming looks have deep rooted fans worldwide, this 964 Cup car is a rare great that maybe you can call it older brother of that famous 964RS. Introducing PORSCHE 911 Carrera 2. 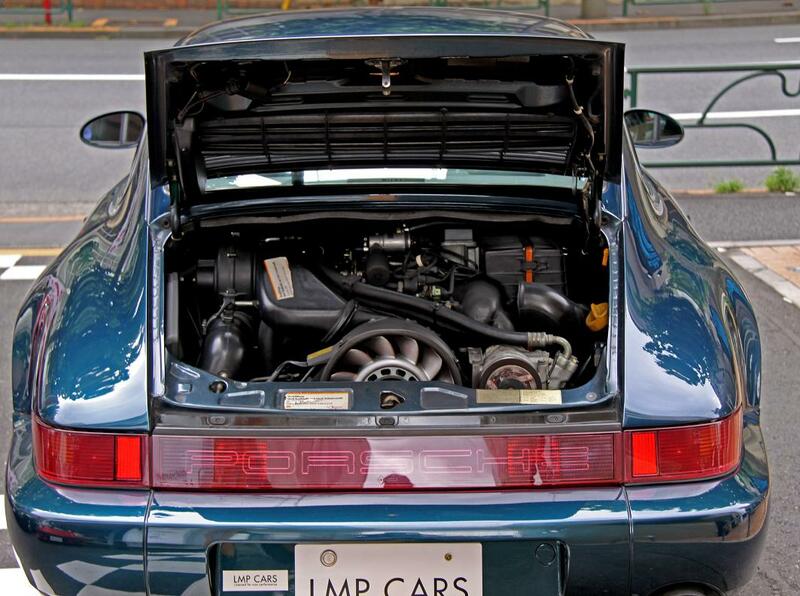 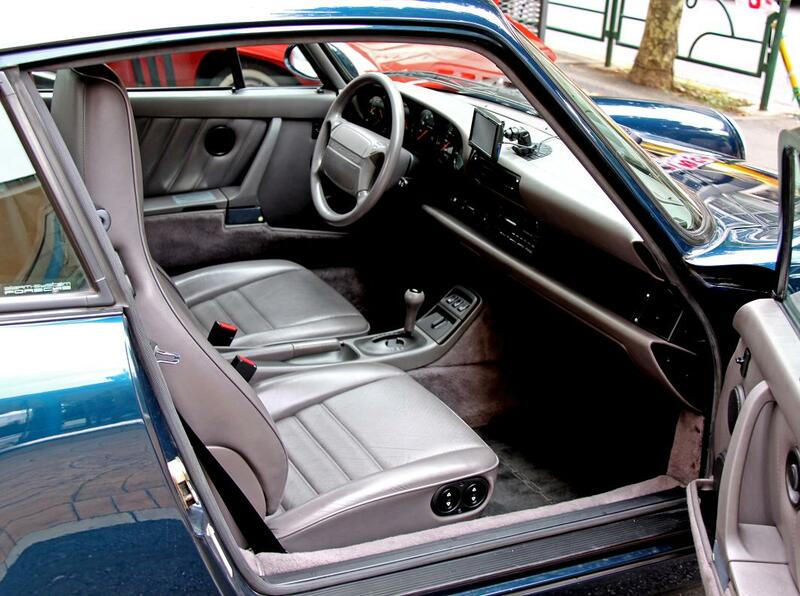 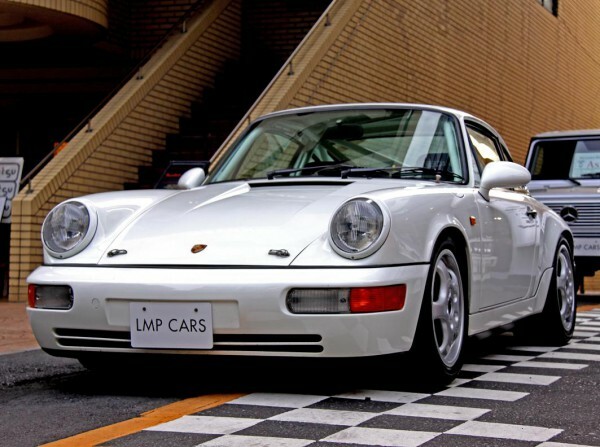 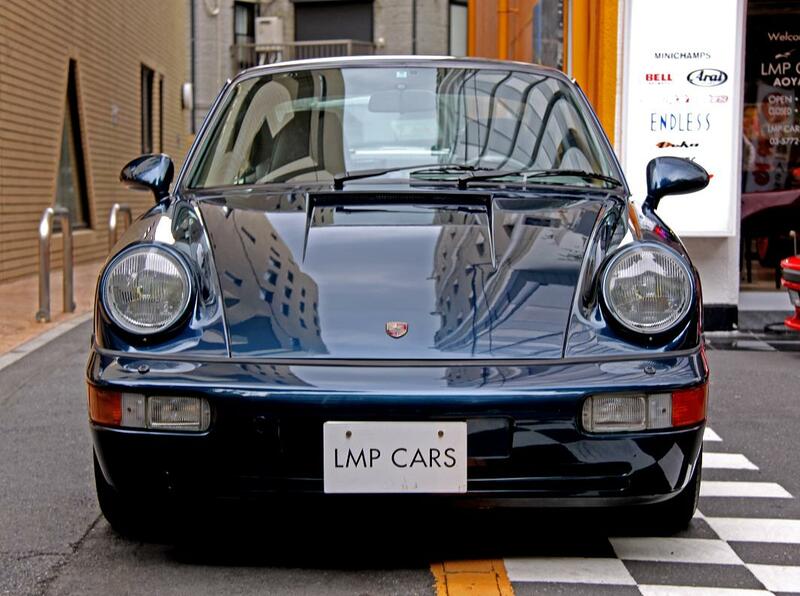 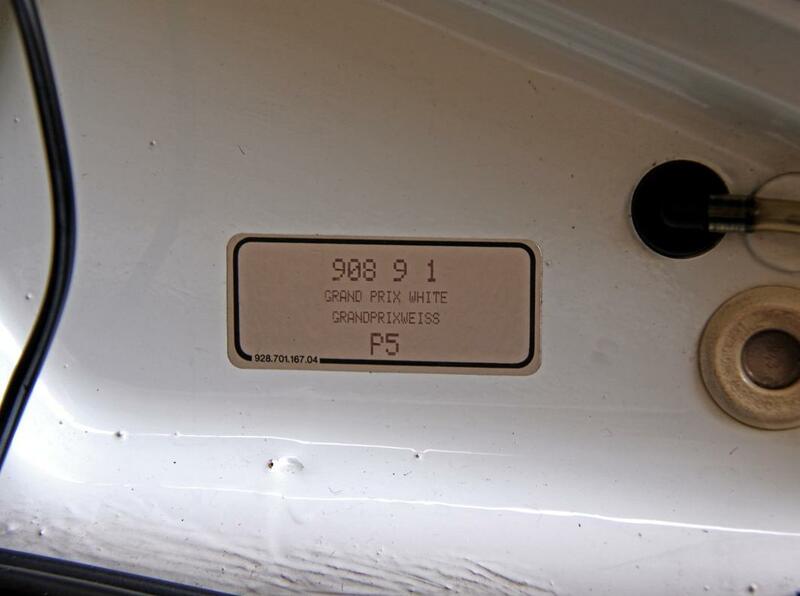 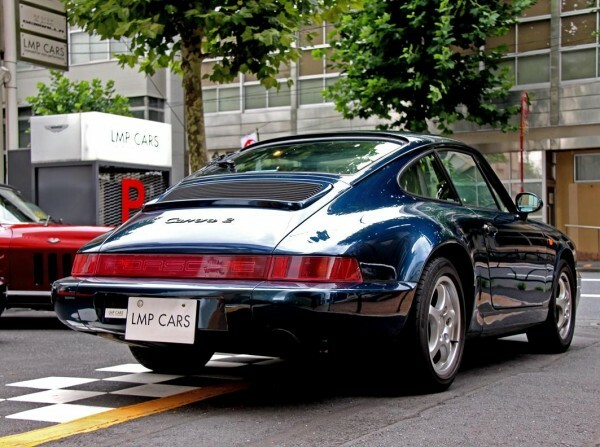 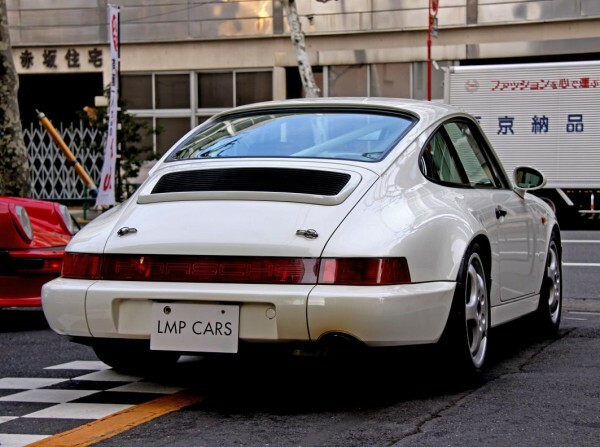 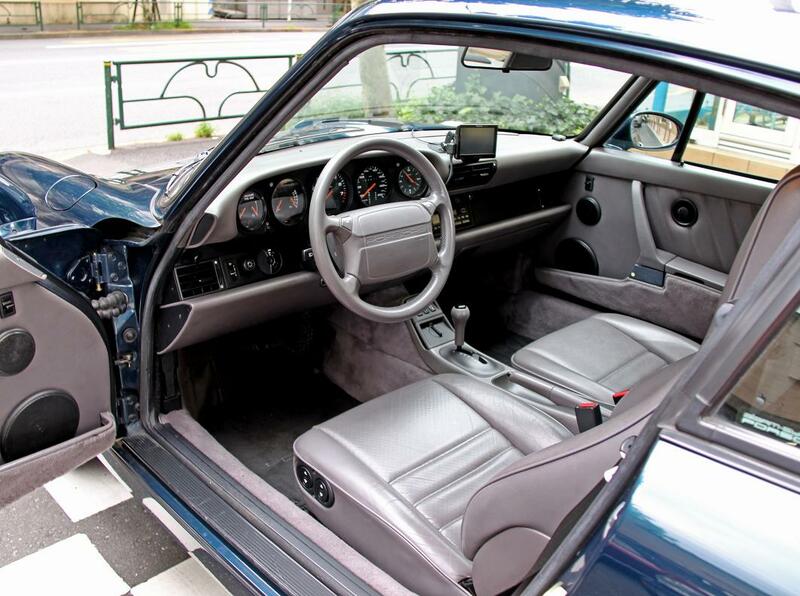 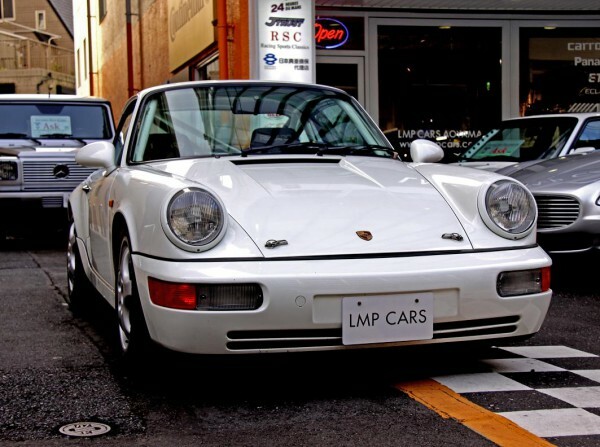 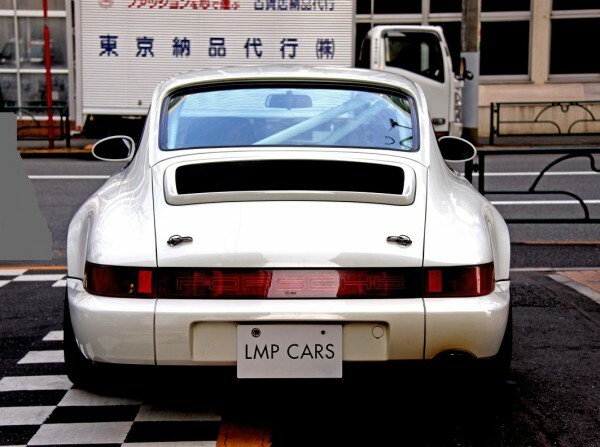 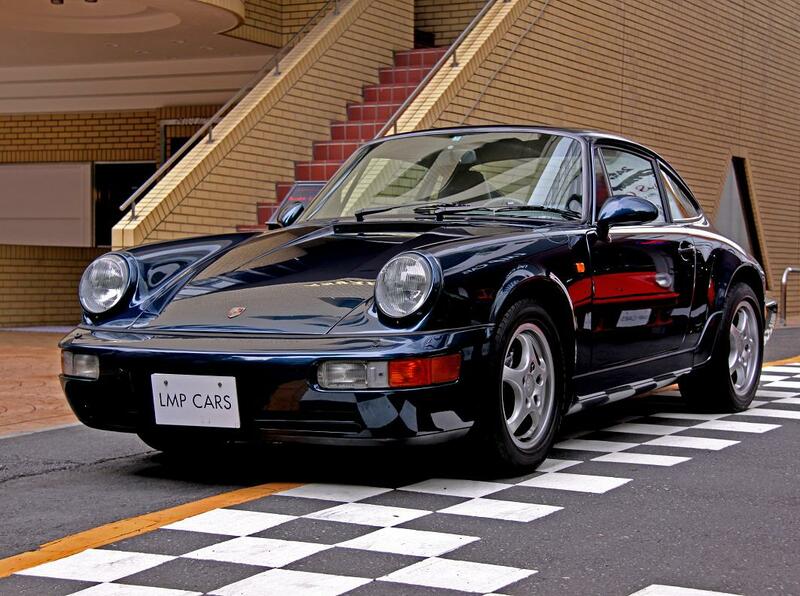 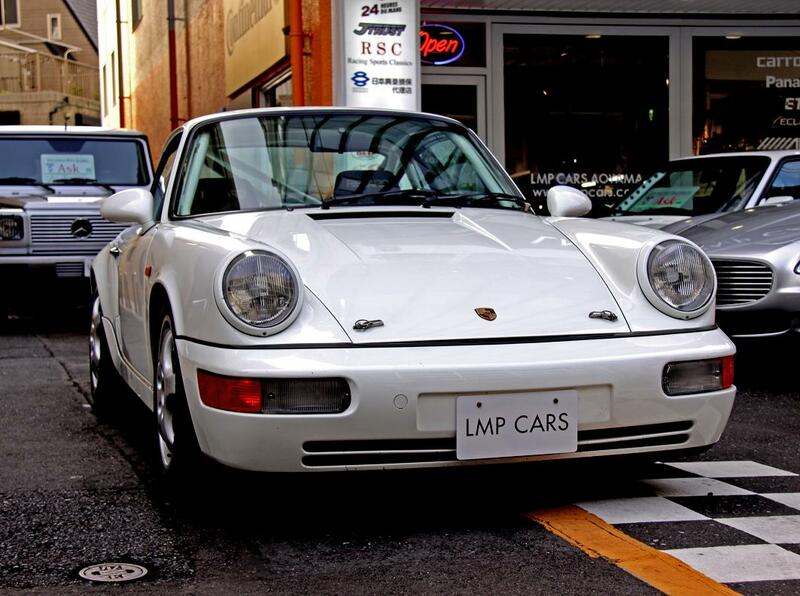 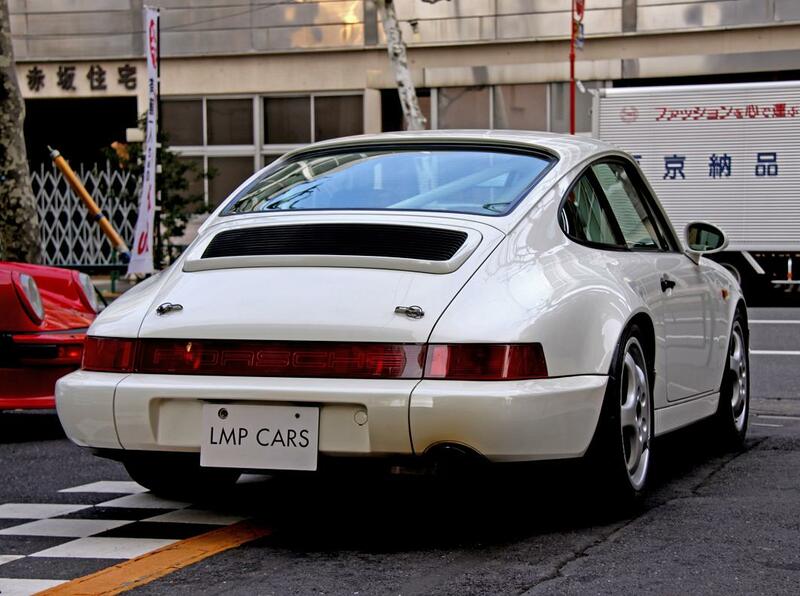 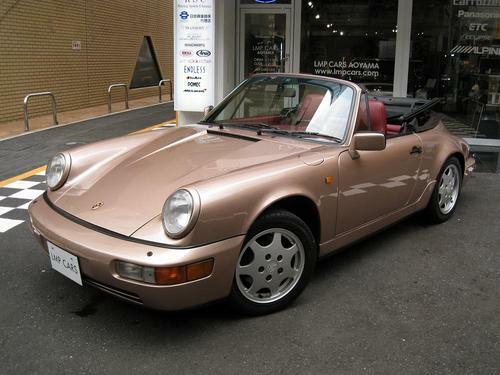 This is a 1993 model which is the last type 964 dealer car. Stylish combination of chic oak green metallic body color with grey leathered interior. 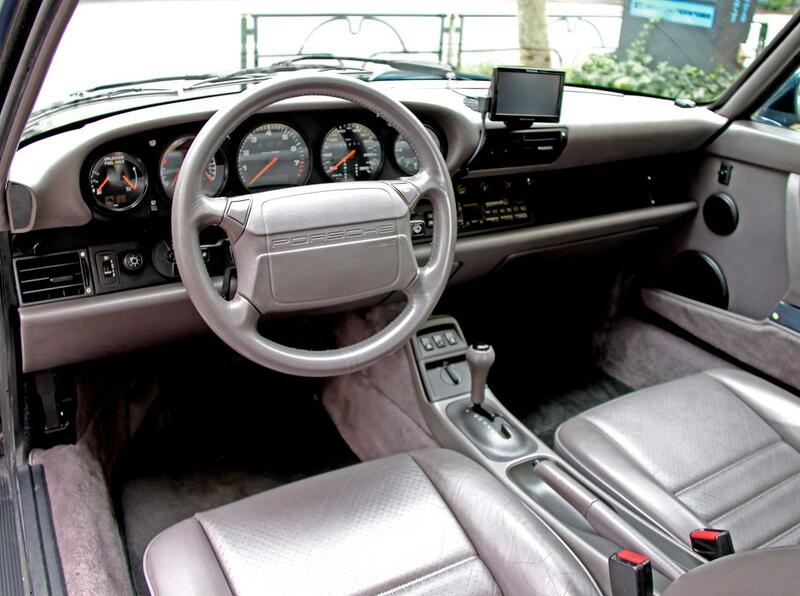 Comfortable drive from streets to high ways with tiptronic transmission. 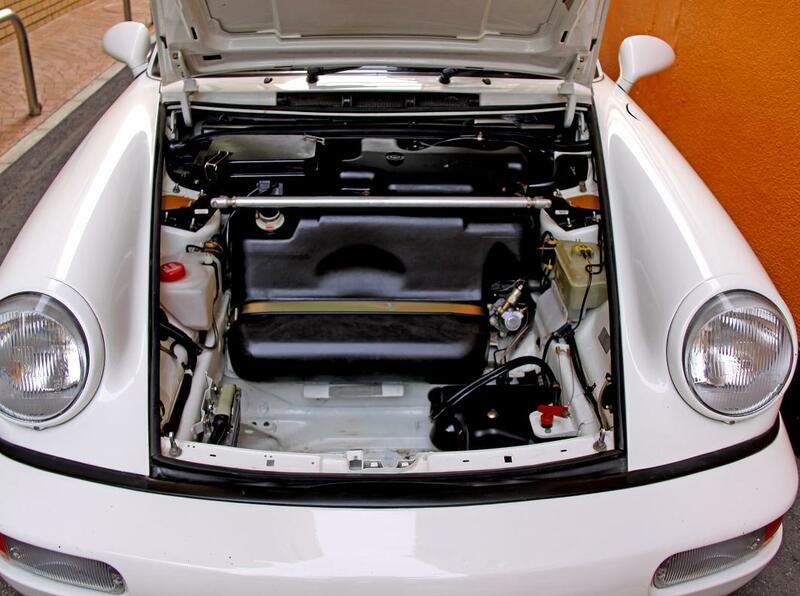 No oil leaks from air cooled power unit and it revs up lightly from low to top. 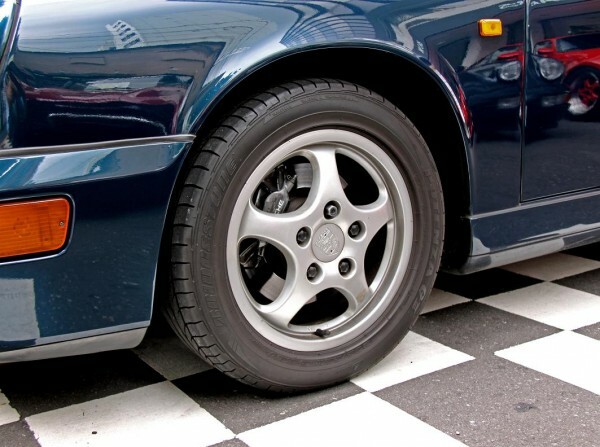 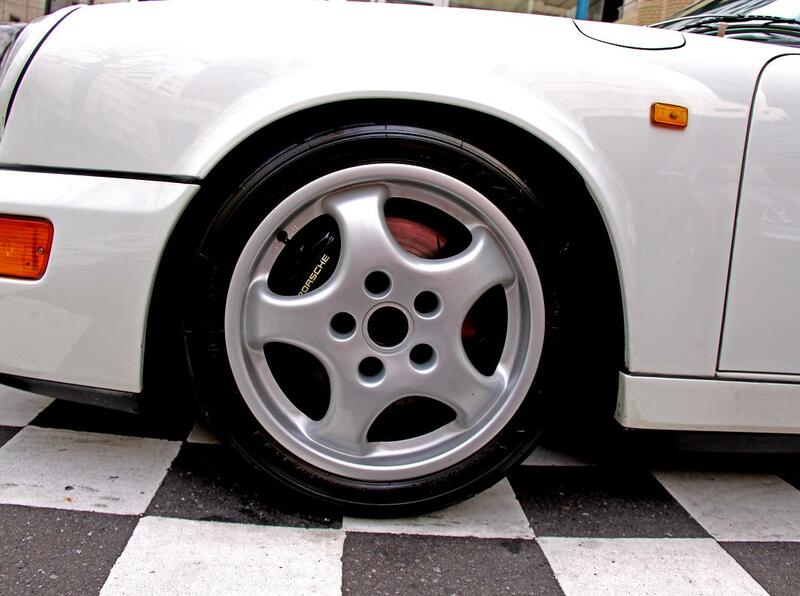 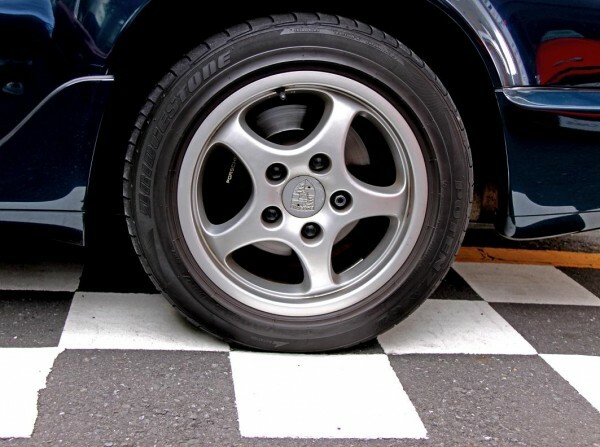 16” genuine aluminum wheels with very light footwork, quite enough for the street use. Powertrains were carefully maintained so you can safely use it for your daily move. 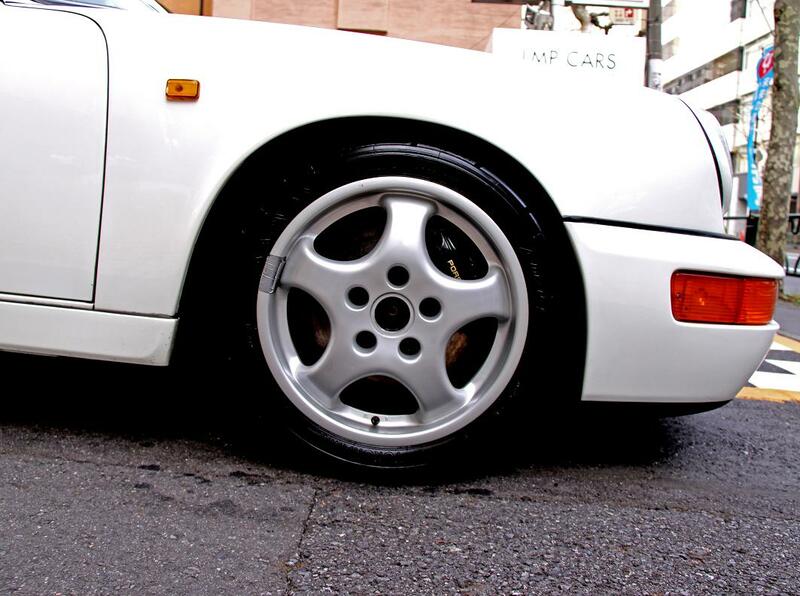 You feel it fresh how compact it is when you go for a roll. 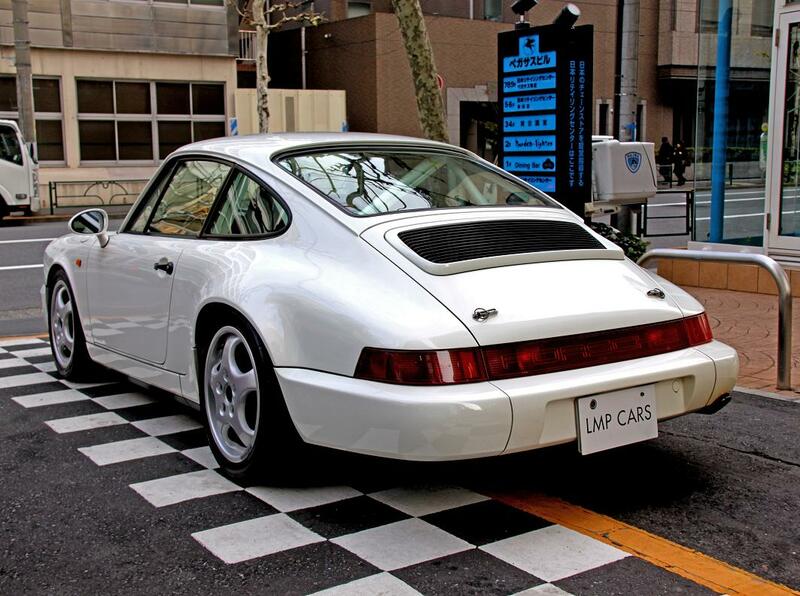 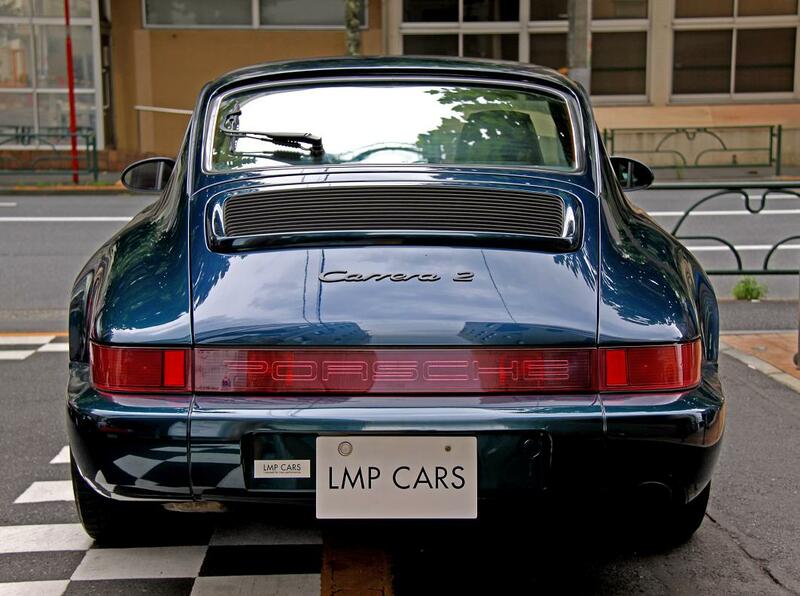 Very charming lines of front fenders are indeed for this type 964. 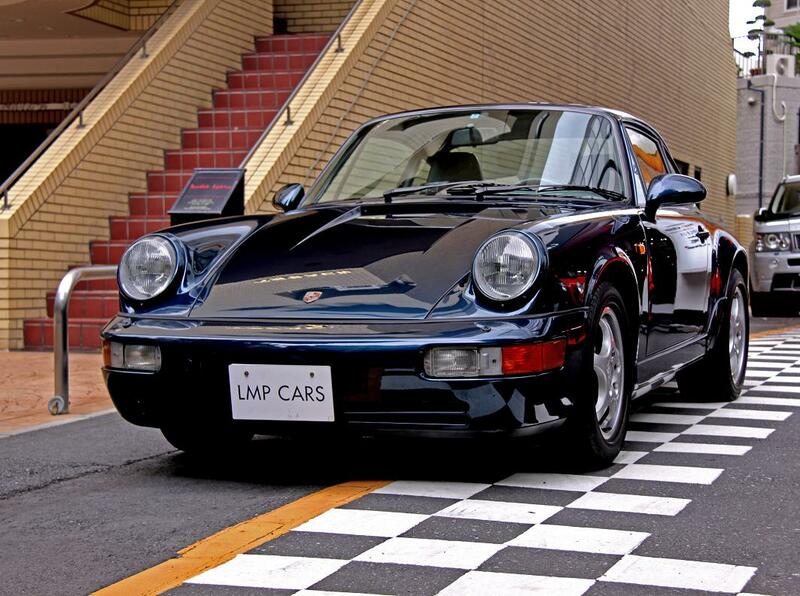 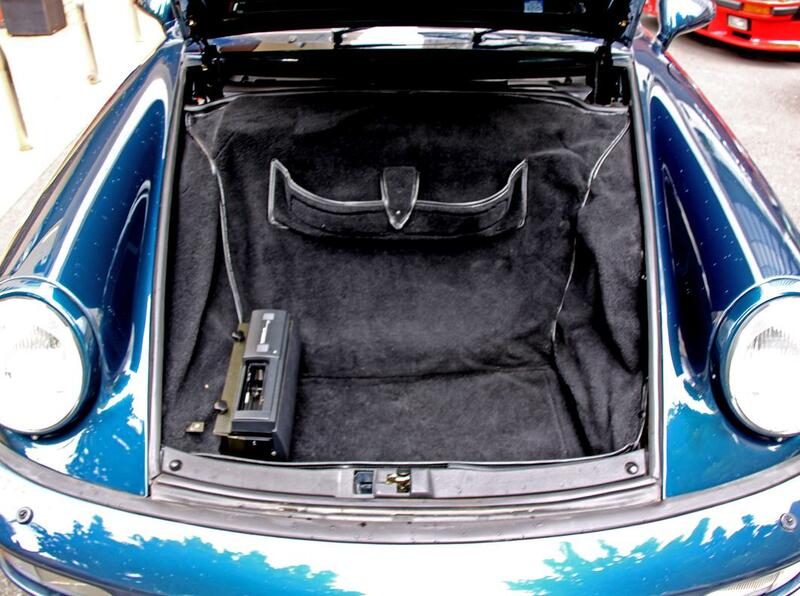 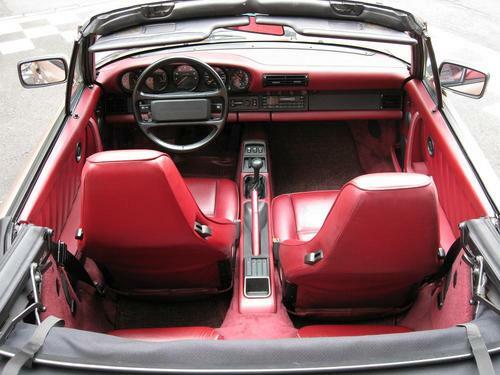 This 911 cabriolet will be ideal for your pleasant drive in upcoming season. 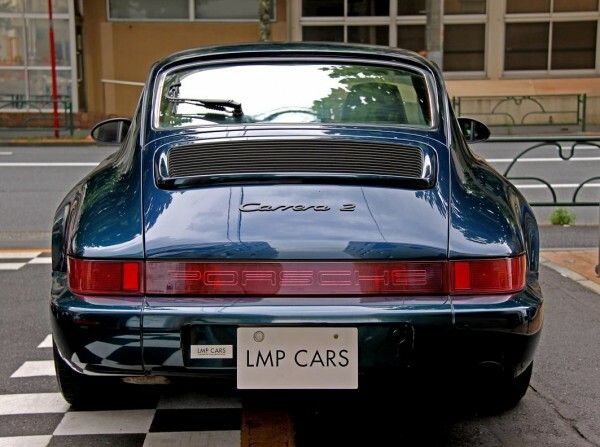 Enjoy your drive!